Here is my second pattern which I wrote. 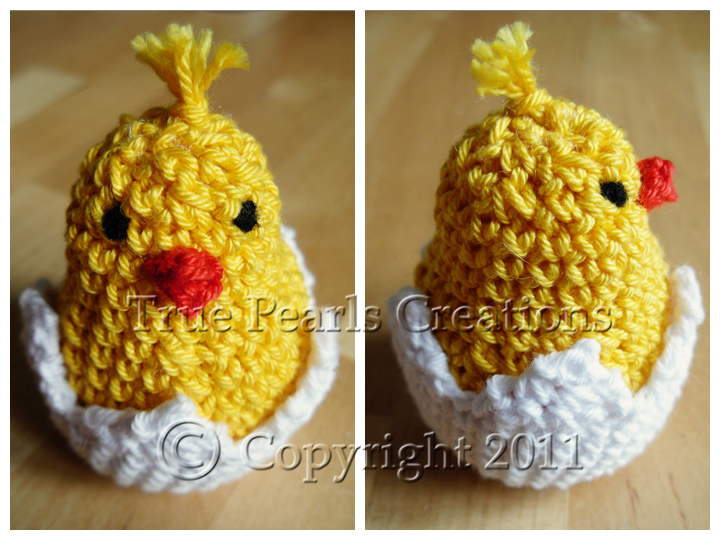 Because Easter is nearly here, I have designed this pattern, maybe there is someone who would like it for this occasion. 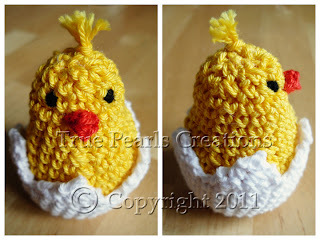 This little chick, who is sitting in the egg, perfect part of your Easter decoration. It would be a great present as well. If you make it from 100% cotton yarn, because it’s size, it fits into your little one’s hands. My son grabbed it just when I finished it. You can buy this pattern by at my Ravelry shop, the price is £2.50.